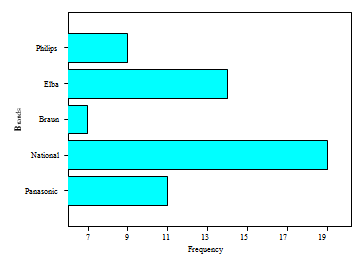 To organize any raw data, it is suggested to construct a frequency distribution table, which later on will be very much easy to study about that particular data. Bar graph and Pie chart are the two types of graphs used to display qualitative data. 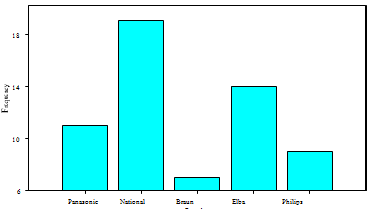 Bar graph / bar chart is a graph, which represent a frequency distribution. It is made by making use of bars. The height of the bars gives the frequency. The bar can be drawn either vertically or horizontally. The small gap is left in between two bars. 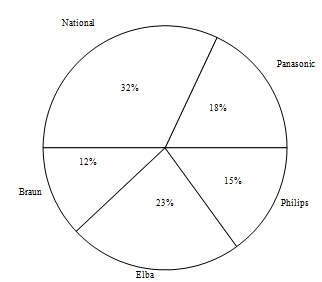 Pie chart is another graphical representation of qualitative data. It is round in shape and contains more than one wedge (V-shaped piece). Generally the percentage distribution is well presented by using the pie chart rather than using bar chart. Are you searching statistics tutor for help with Organizing and Graphing Qualitative Data questions? Organizing and Graphing Qualitative Data topic is not easier to learn without external help? We at www.tutorsglobe.com offer finest service of statistics assignment help and statistics homework help. Live tutors are available for 24x7 hours helping students in their Organizing and Graphing Qualitative Data related problems. We provide step by step Organizing and Graphing Qualitative Data question's answers with 100% plagiarism free content. We prepare quality content and notes for Organizing and Graphing Qualitative Data topic under statistics theory and study material. These are avail for subscribed users and they can get advantages anytime.